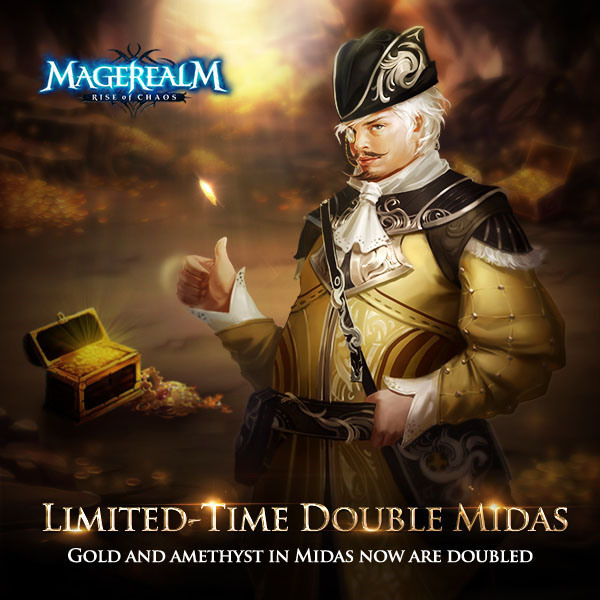 Dear players, Midas Touch Amethyst arrives! Now we can get numerous amethysts in the new Midas Touch. And both of the gold and amethysts are limited-time doubled. Only T6 players are availble to Amethyst Midas when the event ends.